The Arcs is not a band rooted in several other bands, closely linked to specific sounds or popular works, nor should they gain respect through previous notoriety; rather, Yours, Dreamily, is an album of stand-alone strength that deserves to be heard like it’s your first time. “You should judge the art, not the artist,” or so the saying goes, and I don’t think there is a better 2015 release that warrants this approach more than Yours, Dreamily. It’s the debut album from The Arcs, a collective with enviable musical genes, so let’s go ahead and get the artists’ recognition out of the way so the focus can properly return to the tracks at hand. It is fronted by Dan Auerbach, and the media has made sure everyone is aware that The Arcs’ masterpiece is clearly marked by the muddy, blues fingerprints of one half of the Black Keys. But those traces can’t smudge the identity of the band, which is, more importantly, a collaboration between Auerbach, Leon Michels, Richard Swift, Homer Steinweiss, and Nick Movshon. And there’s also Kenny Vaughan and the all-female mariachi group, Mariachi Flor de Toloache, to thank for their colorful, sonic complements. So now that those thunderous names have been dropped and heard, it seems more relevant, to me at least, to examine why this album is about more than a group of all-star musicians congregating to perpetuate their already-acknowledged talents and commonly associated sounds. Yours, Dreamily, is a wildly prismatic exhibition of 14 pieces that vividly fulfill the aesthetic concept of its creators. This was achieved, no doubt, through the writing process, in which all participated, and through the production glaze that acts as a vital preservation for the collective’s intentions. With every song in possession of each member’s essence, it makes the album a cohesion of independent entities that share common themes, a conceptual storyboard of Western psychedelia. “Once We Begin,” the initiation of the album’s gallery, gives the faintest clue as to what is to follow but preps you for stimulation overload. The 30-second track is a strong dose of organ grinding, accompanied by a hypnotic narrator. And just as you begin to fade out with the melting voice, the album’s single, “Outta My Mind,” twists the kaleidoscope to bring you into The Arcs’ self-created world, made up of synth surges, electro-infused energies flaring between the seemingly familiar rock landscape, brass coatings and a thematic fixation on confrontation, whether that be in relationships or the boxing ring. The latter inspired “Stay In My Corner,” which is characterized by reminiscent guitar tones and ivory pings, and though it begs the companionship of another, this song follows “Everything You Do,” a track about a burned relationship, enclosed by a hazy soundscape with a wood-block gallop to help move you through this bend in the album experience. The track order quite obviously contributes to the implication the band’s name allows, for after the sweet plea comes “Cold Companion.” “The Arc” and “Velvet Ditch” rattle with a more Southern synthesis, even making a clichéd Delta reference to Mississippi magnolias. But before you think your trip is over and the band has settled into the tamer territory of the American South, “Come and Go” is there to take a slinky turn, accented by female moans and distorted sounds. “Searching the Blue” is the exit from the experience, or, maybe it’s better described as the return. Contemplating love lost and questioning potential, it’s a poignant diminuendo from the sensory spectrum. The Arcs’ first official music video was for “Put a Flower in Your Pocket,” and its release further explained the band’s visual and thematic pursuit. Drawn, created and directed by Omar Juarez, the animated video depicts three characters, Rosie, the boxer and the gangster, in a colliding narrative that ends in devastation during a pursuit for love. It’s a curious video, for Auerbach has stated that Juarez’s art greatly influenced the record. Therefore, it can be deduced that there are aesthetic answers in this video that further explain the album. With Juarez being inspired by Chicano Art, a movement that began in the 1960s as a means for Mexican-Americans to establish a unique identity and protest the dominant social norms, it gives the retroactive and psychedelic sounds context, beyond the simple, sonic appeal. With lines like, “the streets can see into your soul/it ain’t where you been, but where you’re gonna go,” the song creates a dialogue that is so fitting for today’s time. And it’s interesting to hear the track, “Rosie,” much later in the album, which appears to be in reference to Juarez’s character from the music video. Either it is his arc between “Rosie” and “Put a Flower in You Pocket,” or it is The Arcs’ thematic undercurrent strengthening their debut offering. The act of awarding praise or criticism to the album must come when the art and the artists are dissociated. 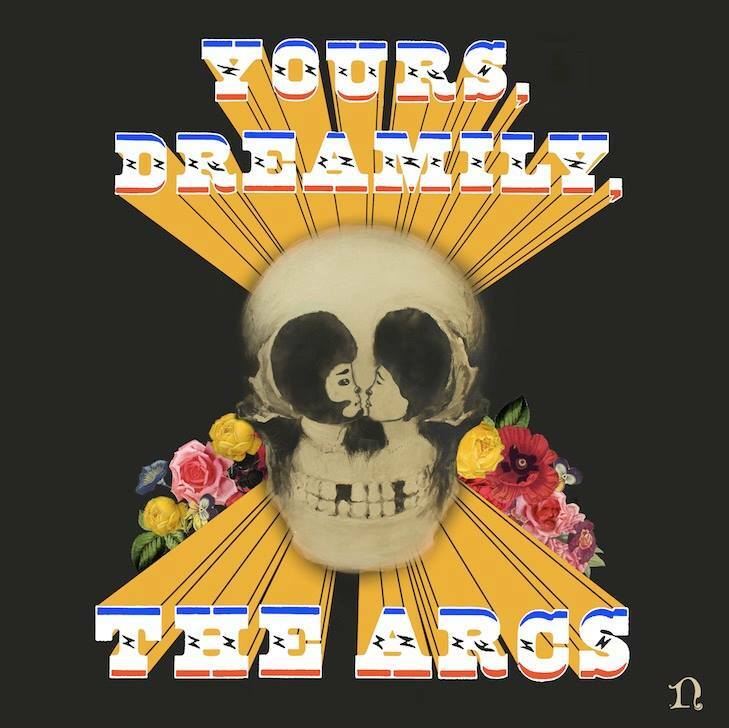 The Arcs is not a band rooted in several other bands, closely linked to specific sounds or popular works, nor should they gain respect through previous, individual notoriety; rather Yours, Dreamily, is an album of stand-alone strength that deserves to be heard like it’s your first time.